A great interior design idea for any person is making the interior of the living room be bright and vibrant. 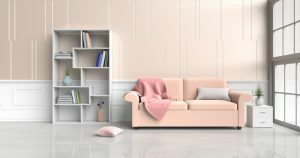 Though it’s easy to become too overwhelming with the pop pastel interior for living rooms, when you balance things well, the room can become very welcoming. Balancing out of colours can be done using lighter tones. Earthy accents and enough whitespace should also be included using things like a bookshelf. The textured white living room is another awesome interior design idea any person can benefit from. You can make the room have a magic monotone using lots of texture such as faux fur to help liven up the sitting room. Combining blush tone pops in accents with panelled walls makes the lounge space visually attractive where one can read their book as they relax. Use a statement-making plant in your living room to add some good life to the room. You may incorporate furniture with the same family of colours as the plant, though with various different shades. This is a rather easy interior living room design idea for most people to try out. For modern living room mastery, you may dramatically contrast striking couches or sofas with soothing colour on your wall. Though it’s an easy idea, the results are tremendous. The living room doesn’t have to be overly coloured with strong colour tones to provide the welcome feel everyone desired in the living room. You can stick to natural lighter colours like browns, whites, and creams to make the room somewhere you can relax after a busy day. You can do what is known as ‘French-inspired’ for your living room’s interior by offsetting a neutral space using a fixture of lighting that’s eye-catching. The lighting system helps to set a tone for the whole space of the room. The trick here’s to ensure you go for a light fixture that’s really striking. 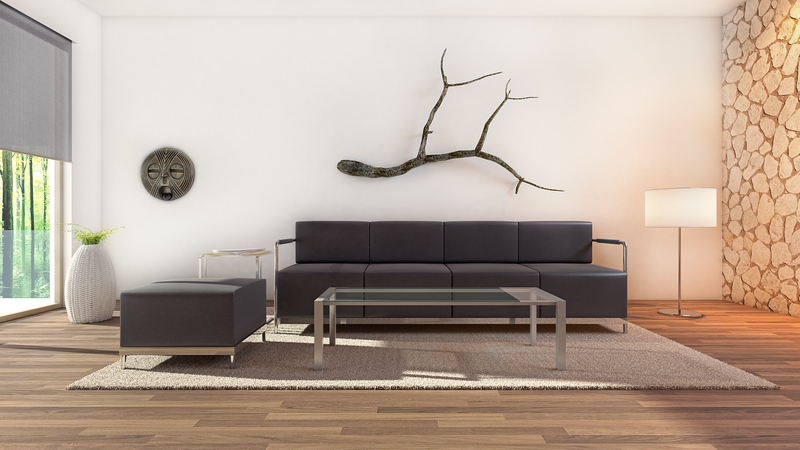 Today in living rooms, we have line furnishings that are sleek plus pallets that are soothing. If you incorporate iconic furniture pieces that bring up a sense of style of another level, you’ll be able to achieve this clean-living room goal. For a simple and great living room, the idea is to have less as it translates to more. Though with statement pieces, you can make a space lively, keeping things simple is very vital. For instance, you can use a round mirror. This way, space could end up being overwhelming. Above are the top 8 living room interior design ideas anyone can try out for great results. Knowing what to and what not to include in the space is vital for achieving the goal of having a great lounge.